Mike is sick. So sick, in fact, that he is going to the doctor. As he points out, it is even of his own volition! That, my friends, is a very sick Mike, indeed. If you have never been around Mike when he is sick (which I hadn’t, really, until the last couple of days), he is a wee bit pathetic. I say that with love, of course, but it is true. And he is very talkative. Much more so than usual… The worse he feels, the more he talks. 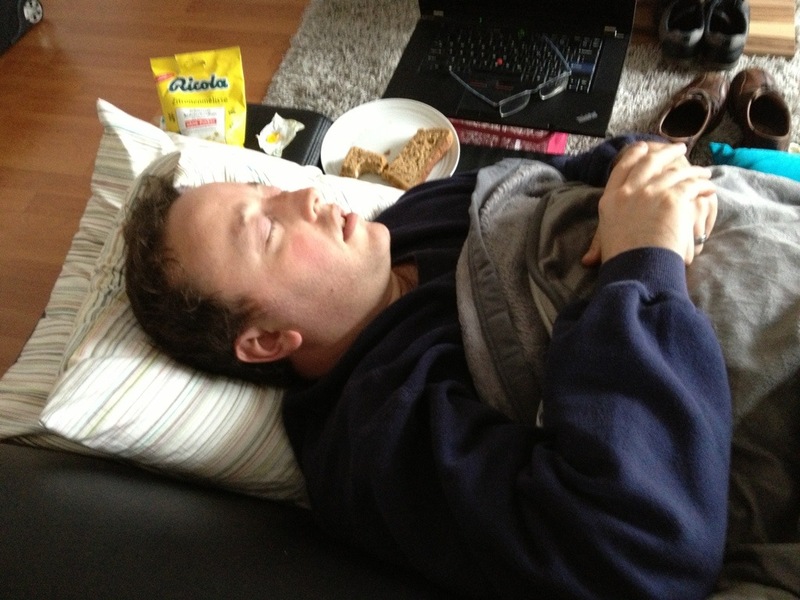 I tried to encourage him to channel some of that energy into writing a post here, but wouldn’t you know that was exactly when he decided he needed a nap? 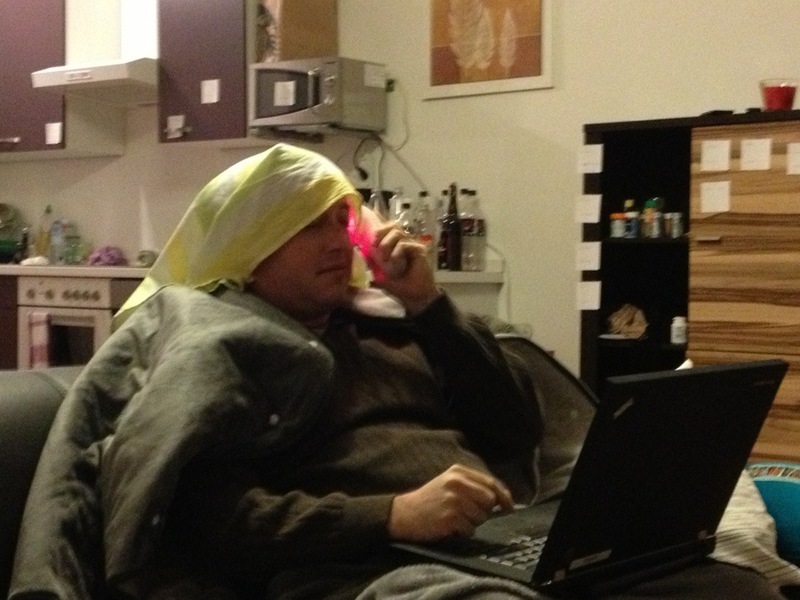 This was yesterday, when he was trying to use the Rote Lampe to break up the infection. Turns out, a trip to the doctor was in order. In addition to getting a script for antibiotics, the doctor also wrote him a prescription to stay home from work for a week! You will notice in the background my attempts to reinforce our German language skills… Everything has been given its German name on a post-it note! 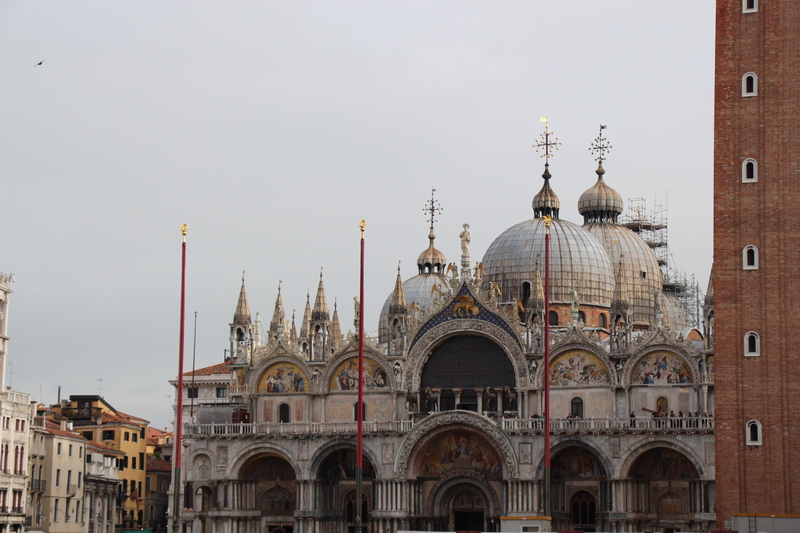 Meanwhile, back to my originally planned post for today: Venice! 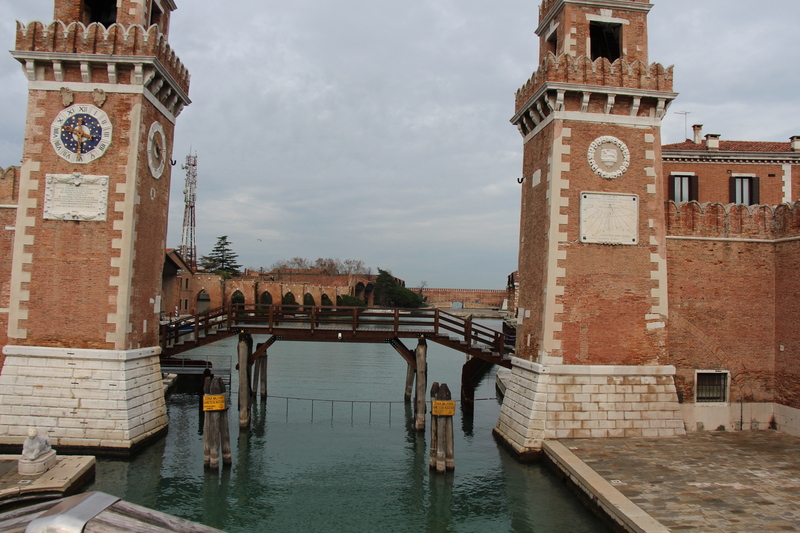 Venice was our first official Italian stop (I say official because we did stop at a rest stop and I did drive in Italy! ), and we arrived mid-afternoon. I was honestly simply excited to be somewhere where the low temperatures did not involve freezing, to tell you the truth, but even bigger than that, I was in Italy! I can not remember a time in my life when I didn’t want to go to Italy. I’m sure that there were a few years there at the beginning when I didn’t know that it existed, but I don’t remember that! I felt like Italy was smiling back at me, too! None of the dreaded flood-worthy tides came in while we were there, there was no real rain to speak of (although it had been predicted to rain the whole full day we were there), and it didn’t stink! Everyone always says, “Oh Venice is lovely, but it sure does stink!” Well, not while we were there! Hooray! We had a lovely hotel convenient to San Marcos (which defies imagination) and thoroughly enjoyed ourselves. 1. The food. Italian food is supposed to be pretty much can’t miss, right? I enjoyed all of the food I had in Italy outside of Venice (pastas, pizzas, salads, sandwiches, etc. 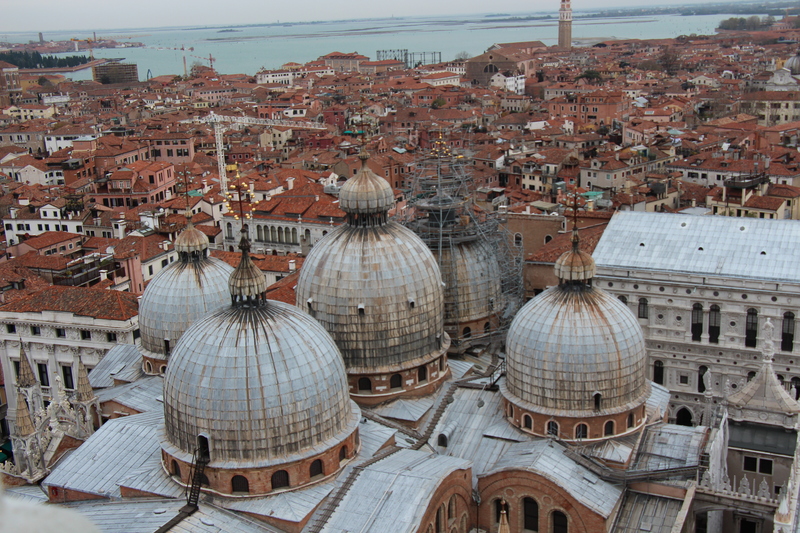 ), but Venice was VERY hit or miss. I was served a plate of linguine with a frozen mixed vegetable topping and then had to pay not only for the dish itself (majorly overpriced), but also for the chair in which I sat (cover charges are everywhere). Fortunately, the next day, we found a non-touristy place for lunch and then took the wonderful advice of a dear reader and friend for dinner and had a fabulous meal. Thanks, Lindy! 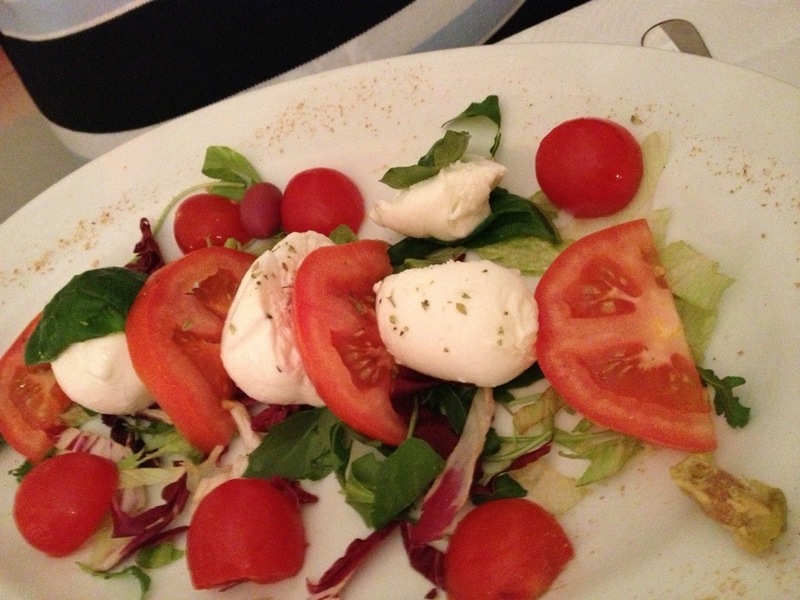 The best Caprese salad I had in Italy! Yummy! 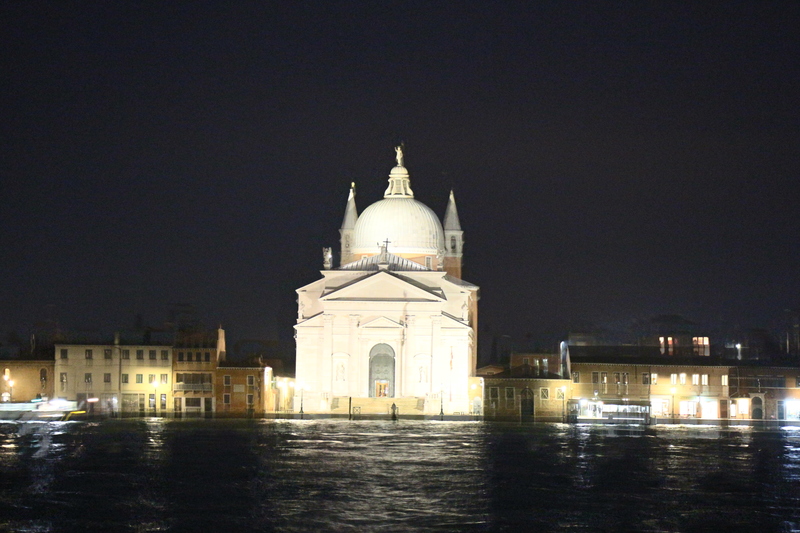 San Giorgio Maggiore by night. This was always across the canal from where we were (even when we crossed the canal), but it was a sight to behold! 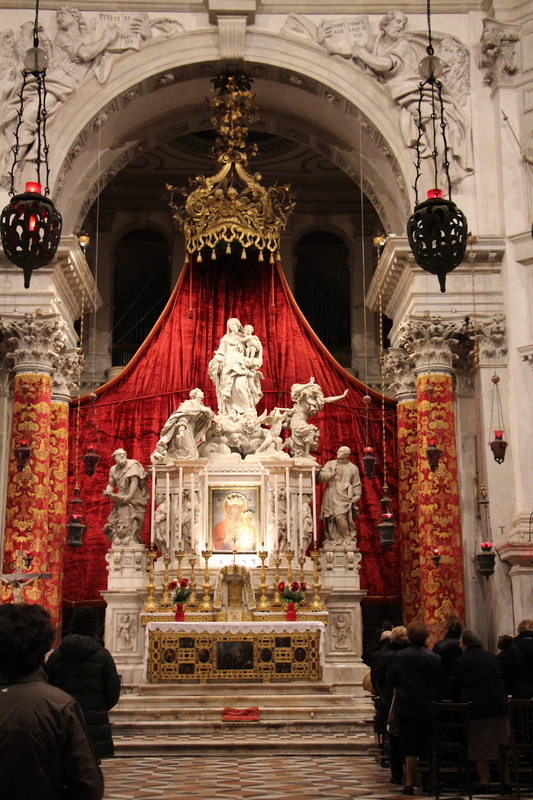 Inside the Santa Maria della Salute, which means “St. Mary’s of Health.” A lot of the churches in the area were built right after they had one plague or another, and the churches were meant to bless the people with health. 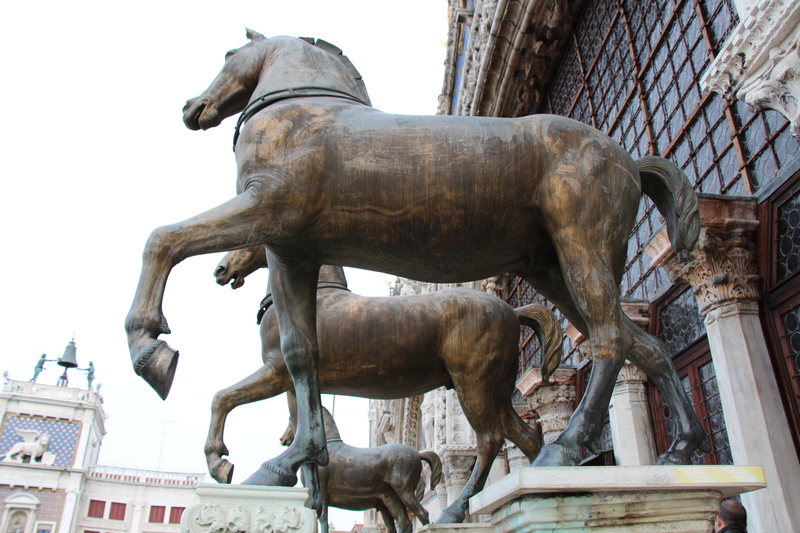 This one is important to Venetians as it is said to represent their triumph over adversity. 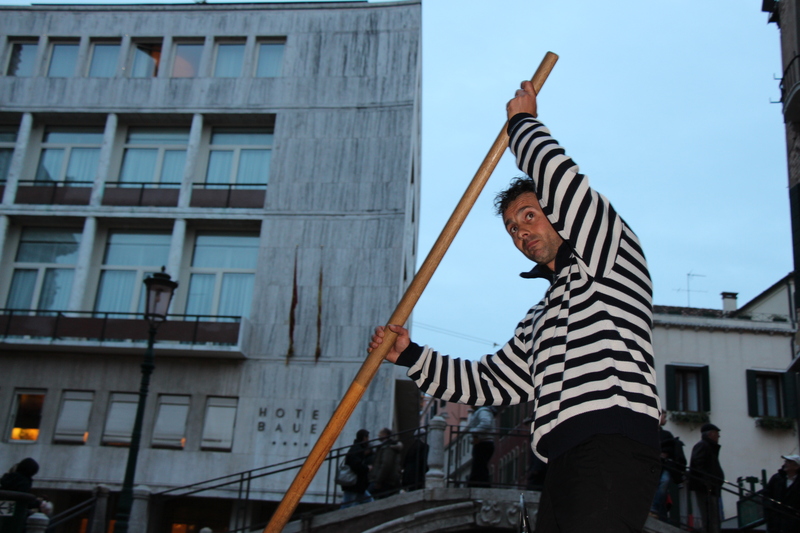 Every year, they have a festival as an expression of thanks for Venice’s delivery. We saw one of the specially built bridges to accommodate the influx of people who come carrying lanterns as a part of the festivities. 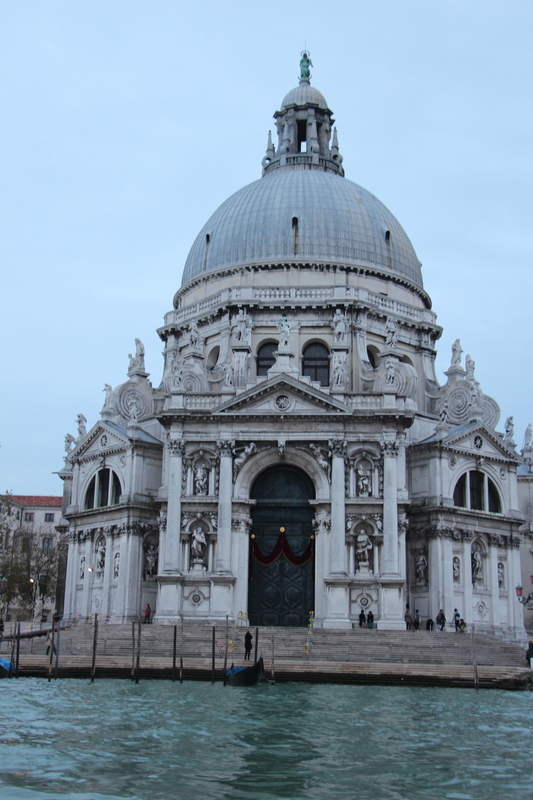 The outside of the Salute Church, which is the unofficial face of Venice, as nearly every movie or representation of Venice features this church. 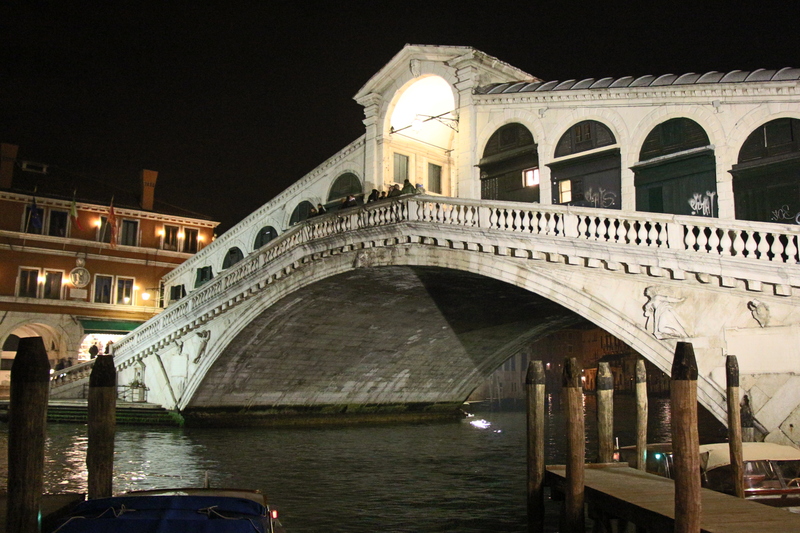 The Rialto (and most famous) bridge in Venice. 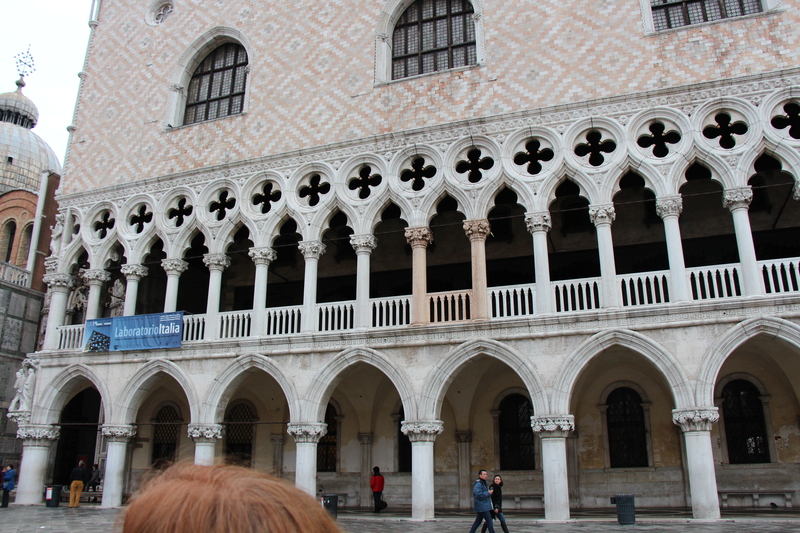 The Ducal Palace, right next to the Basilica of San Marcos… San Marcos used to be the private church for the Doge! Seriously, that is incredible! You can’t really see it here, but 2 of the columns on the palace are pink, which indicated where the Doge would stand to address the people. 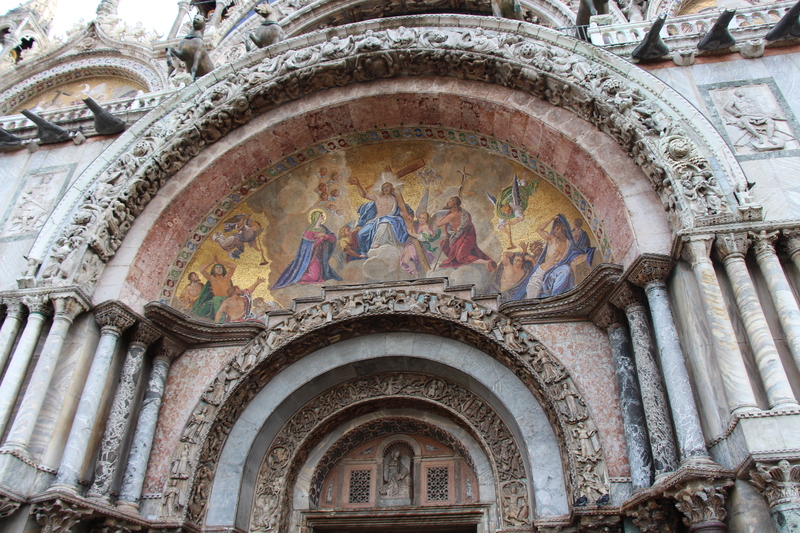 Closer up picture of one of the doorways at the basilica… That is all mosaic! Another cool thing (in a creepy sort of way) is that they are supposed to have the body of St. Mark in this church… which they also stole, from the Egyptians. I understand that the Egyptians still have his head, though. This entry was posted in History, Traveling and tagged Gondola, illness, Italian cuisine, Italy, Rialto Bridge, Salute, San Marco, Venice. Bookmark the permalink. P.S. 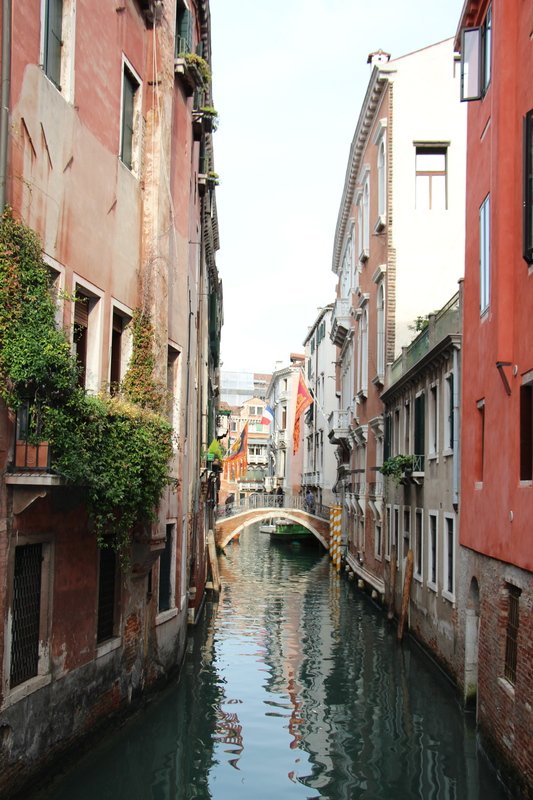 We felt the exact same way about Venice…except for the Grand Canal Restaurant and the tiramisu at that other place. Hope your hubby feels better soon! Where can I get one of those prescriptions to miss work? Apparently, they are very big on NOT going to work if you are sick here (which I am definitely a fan of)… I went to the doctor yesterday, and he tried to give me a prescription for not working even though I’m not working. He said it was important that I rest and if I needed to have a prescription to get people off my back, he would give it to me!